MEL CHURCHER (Ann Churcher) worked as an actor and broadcaster for twenty years. Her work included leading roles at the National Theatre, New Shakespeare Co. and extensive film and television work including classic series such as Upstairs Downstairs, Edward VII & Duchess of Duke Street. 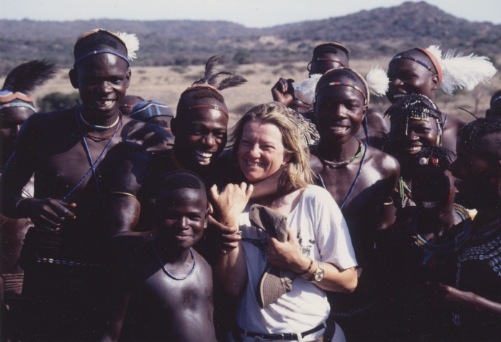 Mel did enormous amounts of radio, voice-over work, dubbing and documentaries, and was a full time presenter with the BBC World Service for some years and part of the team recording The Longman’s Pronunciation Dictionary. She is a frequent contributor to BBC Radio and Television’s national and regional programmes. Mel is now best known as an international acting and voice coach, and this has been the main part of her work for the last twenty-five years. She’s run voice/text courses in America, Singapore, Norway, Portugal, Hungary, Czech Republic and Croatia. She’s been in the voice department of the Royal Shakespeare Company, and worked as coach for many theatre companies including The Open Air Theatre, Regent’s Park where she was resident voice and text coach for 12 years. 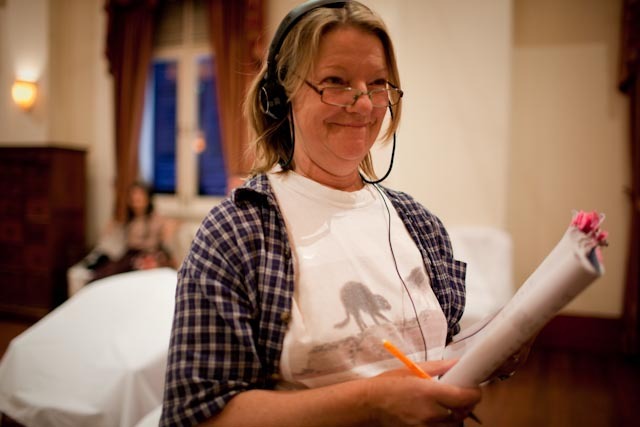 She has directed and taught in most of the major London drama colleges, acting as Head of Voice at Rose Bruford College of Speech & Drama, and advising on the setting up of the MA in Screen Acting at Royal Central School of Speech and Drama. She currently directs showreels for 3rd. year CDT students at RCSSD and teaches on the MA Actor Training & Coaching there. She regularly runs screen-acting courses in Germany and Spain, and at the Actors Centre, London and Actor’s Studio, Pinewood. Victoria Abril, Liam Aiken, Rafael Amargo, Thora Birch, Raymond Blanc, Katherine Borowitz, Gerard Butler, Henry Cavill, Joan Chen, Olivia Cheng, Noel Clarke, Kerry Condon, Charlie Cox, Daniel Craig, Benedict Cumberbatch, Hugh Dancy, Day (Thaitanium), Stephen Dillane, Jason Donovan, Joel Edgerton, Christopher Egan, Alice Evans, Laurence Fox, Benno Furmann, Martina Gedeck, Paul Giamatti, Giancarlo Giannini, Ioan Gruffud, Sienna Guillory, Chin Han, Desmond Harrington, Sally Hawkins, Jennifer Love Hewitt, Remy Hill, Djimon Hounsou, Kathryn Hunter, Milla Jovovich, Angelina Jolie, Felicity Jones, Claudia Kim, Keira Knightley, Jessica Lange, Uli Latukefu, Alexandra Maria Lara, Jet Li, Jack Lowden, Kate Maberly, Antonio Mancino, Ivano Marescotti, Rachel McAdams, Mads Mikkelson, Johnny Lee Miller, Samantha Morton, Esther Nubiola, Frances O’Connor, Clive Owen, Mica Paris, Lorenzo Richelmy, Sam Riley, Michelle Ryan, Rodrigo Santoro, Til Schweiger, Sheridan Smith, Stellan Skarsgård, Edward Speleers, Ray Stevenson, Joss Stone, Harry Treadaway, Tricky, John Turturro, Leonor Varela, Jon Voight, Amr Waked, Leonor Watling, Ray Winstone, Tom Wu, Michelle Yeoh, Casper Zafer, Billy Zane & Zhu Zhu. Bill Alexander, Vicente Aranda, Bill Bain, Derek Bennett, Luc Besson, Michael Blakemore, Bill Bryden, Harry Burton, Tim Burton, Ken Campbell, Alasdair Clayre, Chris Columbus, Elaine Constantine, David Conville, Anton Corbijn, John Dexter, Simon Dolensky, Richard Donner, Uli Edel, Stefen Fangmeier, Gerald Fox, Antoine Fuqua, Sarah Gavron, Brian Gibson, Mark Gill, John Gorrie, Terry Green, Sturla Gunnarson, Nick Hamm, John Hay, Dominic Hill, Michael Hoffman, Agnieszka Holland, Helena Kaut-Howson, Hugh Hudson, Ken Hughes, Katherine Hunter, Rachel Kavenagh, Edward Kemp, Louis Leterrier, David Leveaux, Kevin Lima, Sharon Maguire, Pia Marais, Charles Marowitz, Daisy von Scherler Mayer, John Maybury, Sam Mendes, Jonathan Miller, Daniel Minahan, Silvio Narizzano, Adrian Noble, David Petrarca, Roman Polanski, Vanessa Redgrave, Kevin Reynolds, Franc Roddam, Joachim Rønning, Guy Ritchie, Espen Sandberg, Alik Sakharov, Jimmy Sangster, Timothy Sheader, David A Stewart, Alan Strachan, Peter Strickland, Tim Supple, István Szabó, Ian Talbot, Phil Traill, Pete Travis, Simon West, Andy Wilson, Philip Wilson and Peter Wood. Mel has a BA Hons. (Open), an MA in Performing Arts (Mddx), an MA in Voice Studies (C.S.S.D.) and an Institute of Phonetics Association Certificate. She is a member of The Writers’ Guild, Society of Authors, Equity, Directors’ Guild, Women in Film and Television, The English Speaking Union, a Life Member of the British Academy of Film & Television Arts, a voting member of the European Film Academy and served on the Council of the British Voice Association 2001/4. Mel has had numerous articles published. She has written two books Acting for Film: Acting for Film: Truth 24 Times a Second published by Virgin Books and A Screen Acting Workshop/DVD published by Nick Hern Books. Both are available in print and Ebook format.